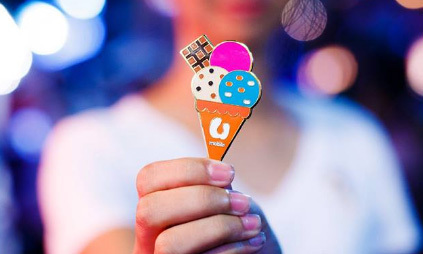 U Mobile has concluded its creative and social media pitches, appointing incumbent TBWA\ and Isobar to manage creative duties for its postpaid and digital financial services segments respectively. Meanwhile, it also reappointed Reprise for social duties. Society was previously working with U Mobile for social before it was rolled under the Reprise banner in June along with Ansible. The appointments for creative and social are for a period of one year with the option to extend for another. U Mobile’s head of marketing services, Jenny Chin (pictured), told A+M in an exclusive statement. She added that work will officially roll out in January 2019. Chin told A+M that TBWA\ and Isobar were chosen as both agencies understood the U Mobile business well, while Reprise offered a breakthrough strategy which looked beyond fanbase and engagement. The appointments follow a pitch held in late July 2018, which saw McCann and FCB also pitching for the creative account. In the meantime, Orion Social Media and Fishermen Integrated were also gunning for the social account, according to Chin. Group MD of Reprise, Darren Yuen, told A+M that having an innovative organisation such as U Mobile as a business partner once again is nothing short of fantastic. “We love clients that dream with us, and we are confident in breaking new ground with this renewed partnership,” he said. Meanwhile, Isobar Malaysia’s CEO, Sean Wong, told A+M that having a good grasp of U Mobile’s business was vital. Besides that, the synergies between U Mobile’s vision and Isobar’s capability in building brands for the connected world was the driving force behind the agency’s best ideas, Wong said. “U Mobile is always bringing disruption to the market, and it has been inspiring to catch the vibe of innovation from U Mobile’s team. Hence, we didn’t hold back on our bold ideas. We knew the U Mobile team would appreciate them, and they certainly didn’t disappoint! Looking forward to an exciting and effective partnership with U Mobile,” he added. In January this year, U Mobile reappointed BPN and Brandscope Malaysia to manage media and OOH duties respectively. Brandscope is also taking on media buying and planning roles beyond OOH. Meanwhile, it named The Clan as the creative agency for its prepaid segment in December last year, after a pitch that included incumbent BBDO Malaysia, Ogilvy, Society and TBWA. What can we learn from this seemingly industry-specific branding strategy? Apple Lam finds out. ..
A collection of limited edition Shell heritage canisters will be available till October 31, 2016..